Joseph Fernand Henrl Leger was a French painter, sculptor and filmmaker. He created a personal form of cubism which he gradually modified into a more figurative, populist style. 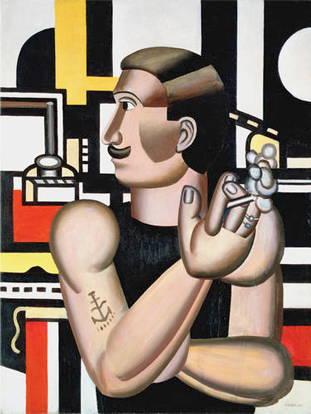 Leger was born on February 4, 1881 in Argentan, Orne, France. He died on August 17, 1955 at the age of 74. 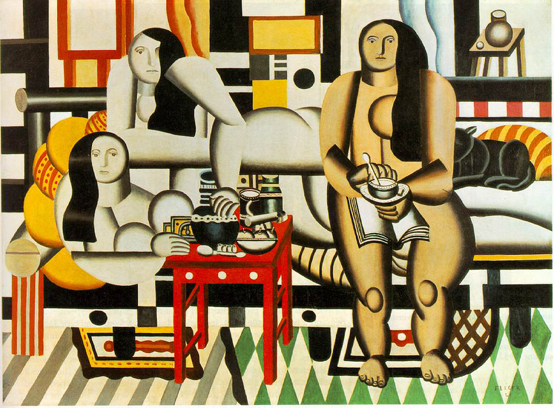 Fernand Leger initially trained as an architect 1897-1899. Then he went to Paris, where he supported himself as an architectural draftsman. In 1902-1903, he enrolled at the School of Decorative Arts. Leger also studied at the Academie Julian . He began to work seriously as a painter at the age of 25. Léger was born in Argentan, Orne, Lower Normandy, where his father raised cattle. 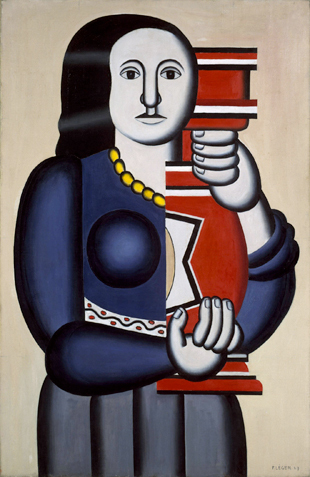 Fernand Léger initially trained as an architect from 1897–1899, before moving in 1900 to Paris, where he supported himself as an architectural draftsman. After military service in Versailles, Yvelines, in 1902–1903, he enrolled at the School of Decorative Arts after his application to the École des Beaux-Arts was rejected. He nevertheless attended the Beaux-Arts as a non-enrolled student, spending what he described as "three empty and useless years" studying with Gérôme and others, while also studying at the Académie Julian. He began to work seriously as a painter only at the age of 25. At this point his work showed the influence of impressionism, as seen in Le Jardin de ma mère (My Mother's Garden) of 1905, one of the few paintings from this period that he did not later destroy. A new emphasis on drawing and geometry appeared in Léger's work after he saw the Cézanne retrospective at the Salon d'Automne in 1907.